Sometimes I just hate logical types, because when I feel upset or lonely and all I want to do is have someone sit down and listen to my rantings, they listen for like four seconds and then give me an unsolicited, unnecessarily logical way to fix my problem. 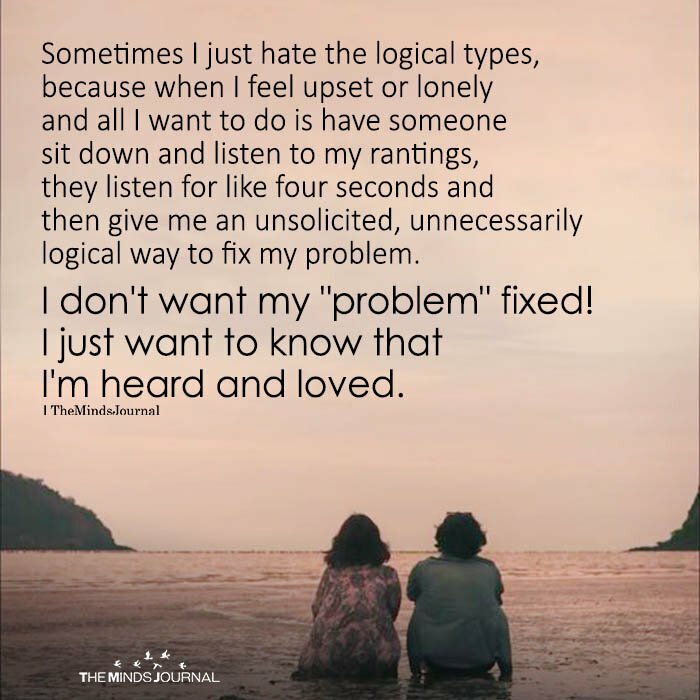 I don’t want my “problem” fixed! I just want to know that I’m heard and loved.